We know scores in the high 80s and 90s win bull riding competitions, but there’s a little more to the Professional Bull Rider’s Global Cup event where five countries go head-to-head to win the title. So let’s talk about how to win the PBR’s Global Cup. Watch the 2019 Global Cup in Arlington, Texas, LIVE on FloRodeo, Feb. 9-10. Five of the positions were hand-picked by the coaches and the remaining three were filled via national standings. If any of those picks was not able to compete after they were drafted, coaches were allowed to pick another rider—including riders from outside of the association as was the case with Team USA Eagles' alternate Sage Kimzey. There is also a home-team advantage each year. The host nation has traditionally been given the advantage of having 14 competing riders instead of seven, but this year Team USA has decided to split into two teams: Team USA Eagles and the all Native-American roster, Team USA Wolves. See the full roster for each team HERE. Long Round: Each night, all seven competing riders from each team will make one bull ride on a bull assigned by their coach to try to earn the highest score possible. Those rides will make up seven sections of competition with one member of each team competing in each section. Bonus Round: After the long round, the coaches will make a split-second decision and nominate two of their riders to compete in the bonus ride, also selecting the bulls that they compete on in a snake draft format. This means the highest-ranked team will get to select the first and last bull, the second-highest team will select their second and second-to-last bull, etc. This format repeats on day two of the event with a total of 18 rides for each team by the conclusion of the event. Of the 18 possible rides, the best 12 will be counted for each team. The team with the highest aggregate score between those 12 rides will win the title. The Global Cup trophy symbolizes each of the countries the competitors come from—Australian, Brasil, Canada, Mexico and the United States. The trophy also contains the very dirt that the bull riders compete on at each stop. The opening ceremony of the event each year will showcase the host country’s riders depositing their dirt into their piece of the trophy. It is said to not only symbolize the unified spirit of the global competition but also pay tribute to the winning nation's hometown heroes. Every sport has its own lingo, but rodeo has a language all its own. Whether you’re new to rodeo or just enjoy a good jab behind the chutes, we’ve come up with a list of our favorite rodeo slang and rodeo phrases that you may or may not be familiar with. The PBR action heads to Columbus, Ohio, for an Unleash The Beast Event, while the Velocity Tour hits Des Moines, Iowa, and PBR Brazil is in the state of Sao Paulo this weekend. Sign up for a PRO subscription with FloRodeo to watch these, and all of the FloRodeo events we have on the season calendar. Click HERE to subscribe. The top 15 spots in the Professional Rodeo Cowboys Association and Women's Professional Rodeo Association and the top 12 in the Canadian Professional Rodeo Association are coveted. Competitors generally try not to think about it too much throughout the season, but being inside the top 15 or top 12 in their respective rodeo associations is the goal for every cowboy and cowgirl chasing NFR and CFR dreams. 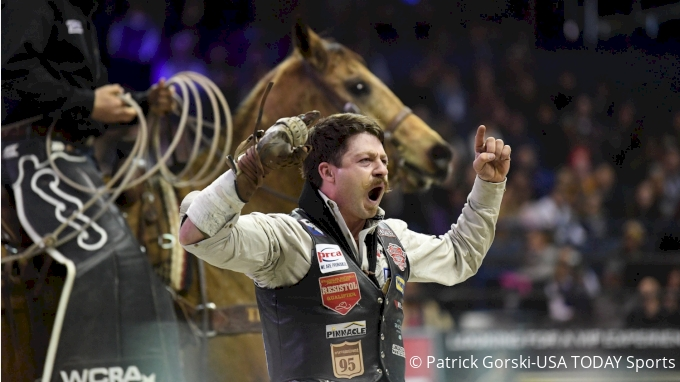 Binge watch semifinals one and two, plus the finals of the 2019 Denver Rodeo All-Star at the National Western in Denver, Colorado. 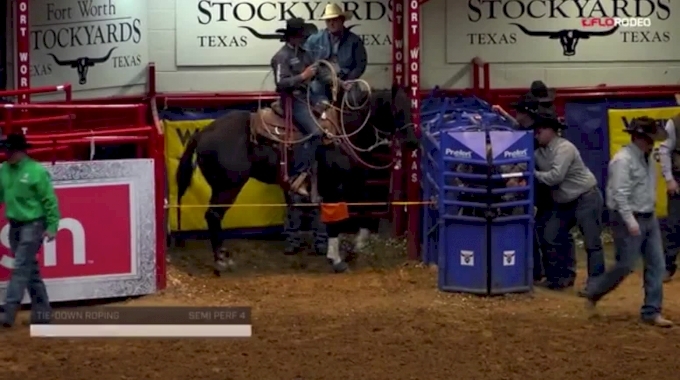 If you're in the mood for a top-end invitational rodeo, we have nearly 10 hours of binge-worthy rodeo action right here.